The American Lamb Board has done an excellent job of providing information about the rich legacy of lamb production in America. Their site is abounding with videos, history, profiles, and recipes. Click here to explore their site and gain an appreciation for our industry. When you choose American Lamb you support local family farmers and ranchers throughout the United States who are dedicated to the health and welfare of their animals and the land. They are living the adventures of the lamb life every day to bring you the best quality meat in the most natural way. The farmers and ranchers that are raising your lamb are family focused, entrepreneurial and food artisans who are passionate about the process from start to finish. There are more than 80,000 family farmers and ranchers caring for over 6 million sheep throughout the United States. Lamb is produced in every state in the country so fresh, local lamb is available year-round. 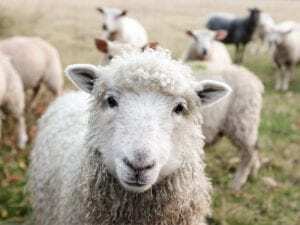 The top five sheep producing states are TX, CA, CO, WY, and SD. For the American Lamb industry, sustainability makes perfect sense. After all, stewardship of our land, animals, and community is also our livelihood. We strive to provide consumers with high-quality lamb in a way that sustains our industry, supports our communities and preserves our land and resources for future generations. Our farmers and ranchers are committed to practices that protect the environment, improve land management, foster animal well- being and general positive social and economic impact on local communities. From large scale range operations in the west to smaller farm flocks in the east, raising sheep fosters economic growth, supports rural communities and provides food and fiber for the nation. Our shepherds make sure the animals have natural grazing compatible with the environment, a clean water source, and protection from predators. 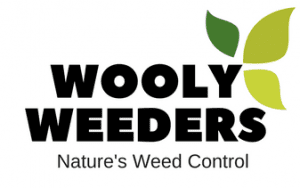 Sheep’s natural grazing skills make them ideal for controlling weeds naturally and for preventing fires by clearing undergrowth in forests and woodland areas. Many wineries are using sheep to graze weeds without the use of herbicides. Sheep improve pasture and rangeland quality by recycling nutrients back into the soil, minimizing erosion and encouraging native plant growth.